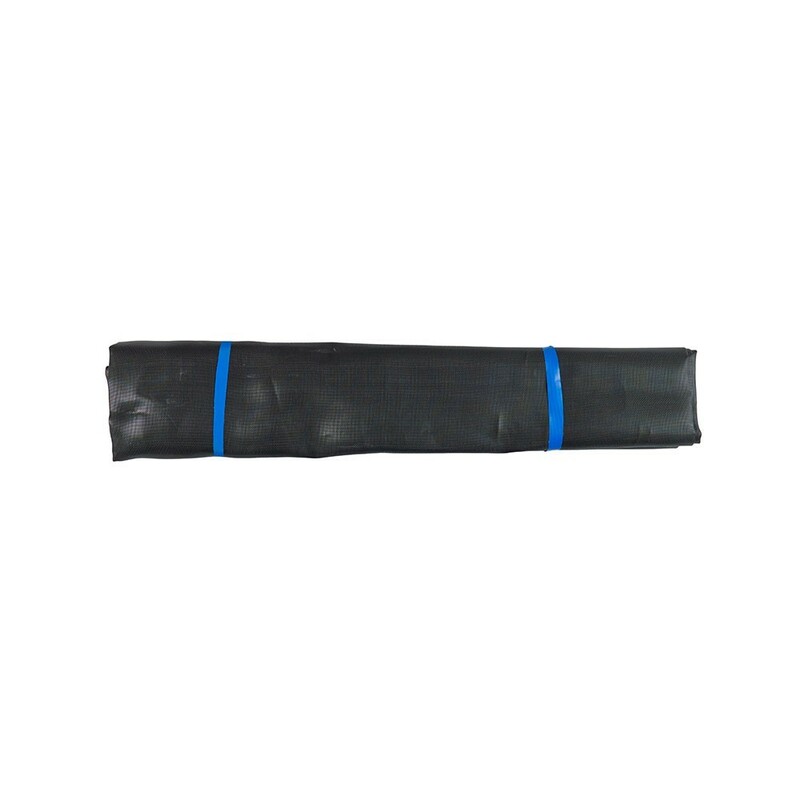 Jumping pad for your Waouuh 430 trampoline with 104 springs of 230 mm. 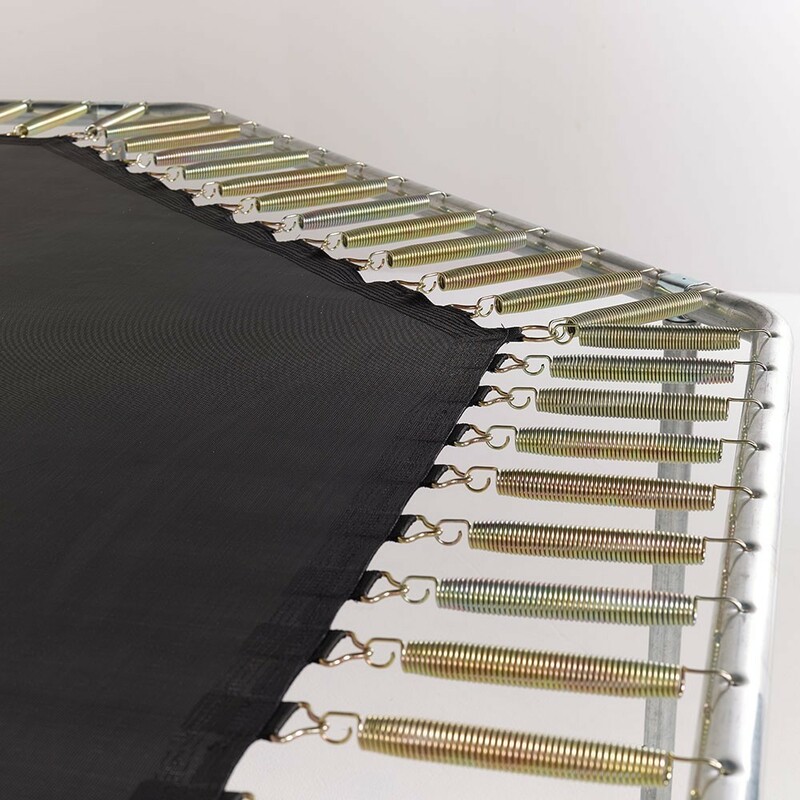 This brand new jumping mat is adapted to any octagonal trampoline measuring 4.27 m by 3.96 m with 104 springs of 230 mm in length. 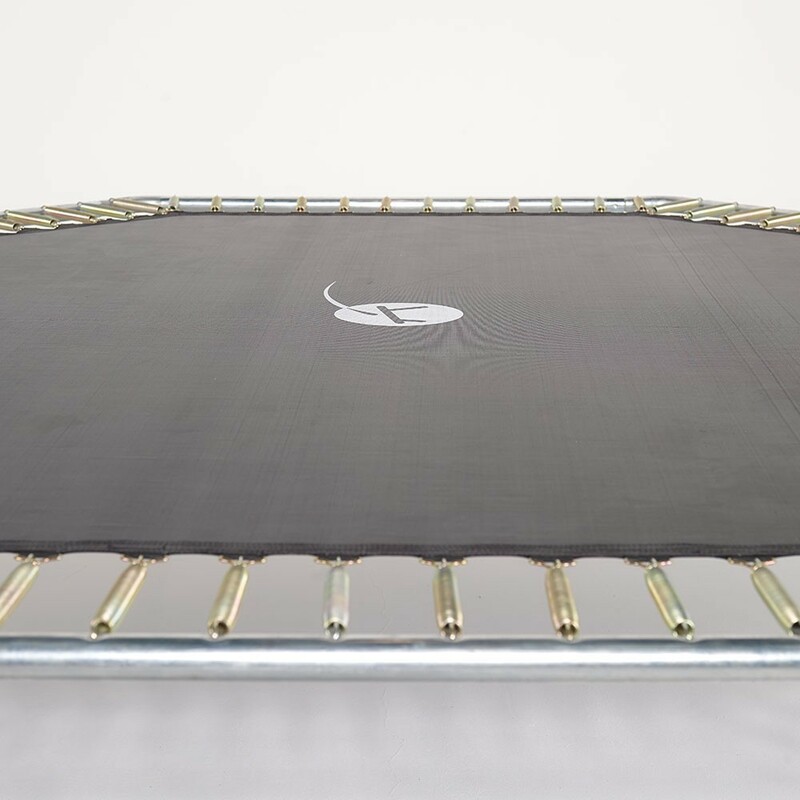 This incredibly strong jumping mat will replace your old jumping mat with the same characteristics. 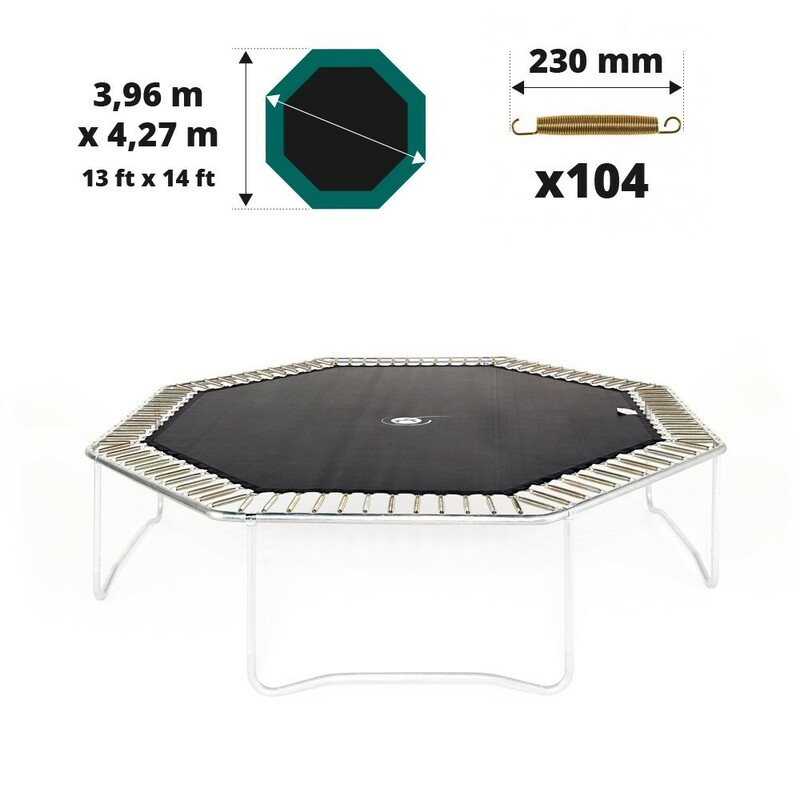 - It is adapted to the Waouuh 430 trampoline but also other trampoline with the same characteristics, even if it was not bought at France Trampoline. 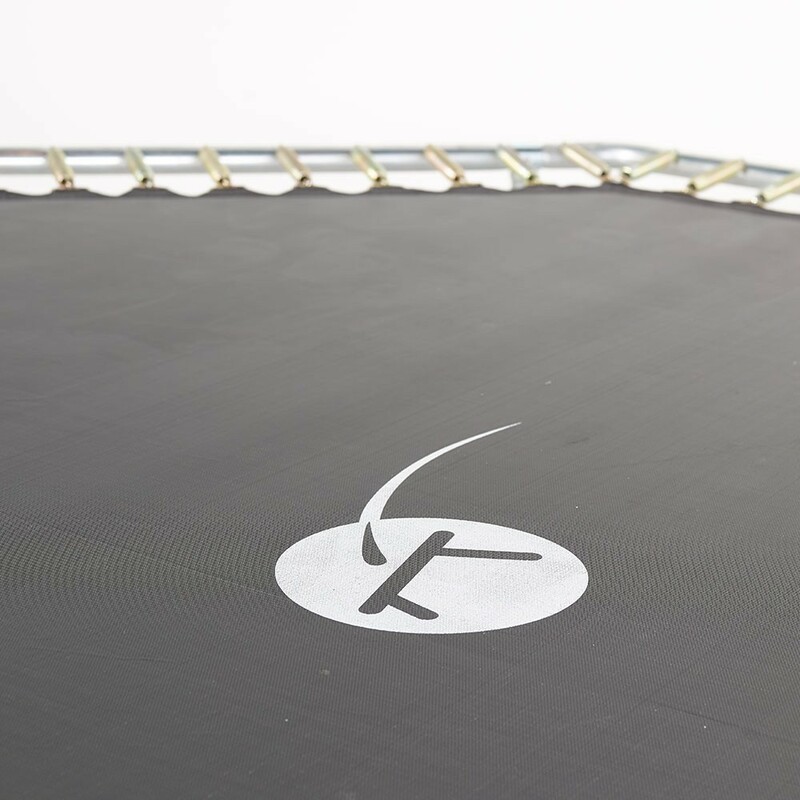 Make sure you measure the outer measurements of your trampoline before ordering, to be sure that the jumping mat is adapted. 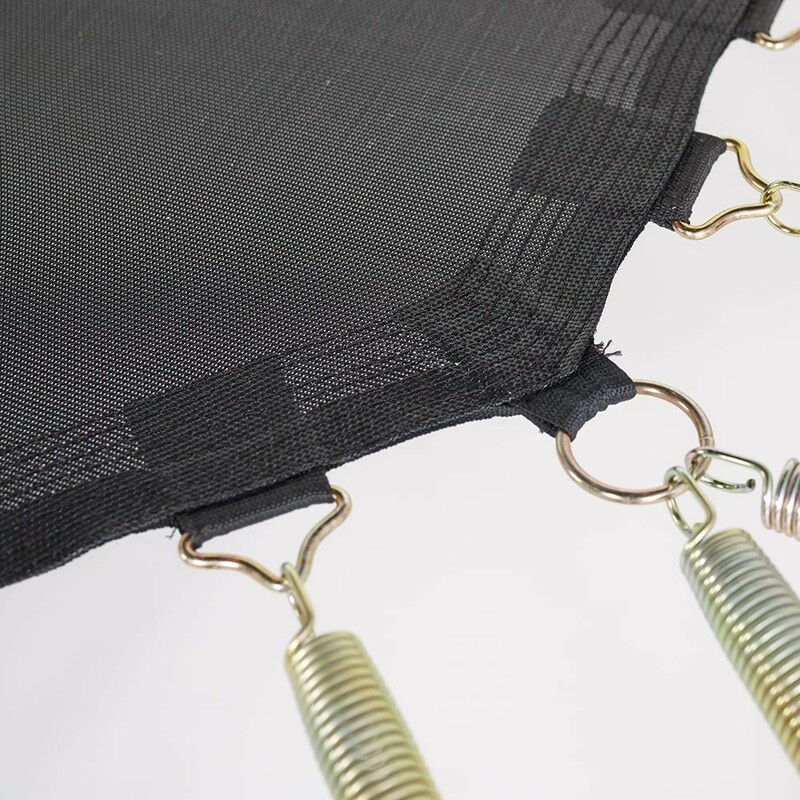 - It is made from highly resistant mesh fabric, allowing you to leave your jumping mat outside all year round. 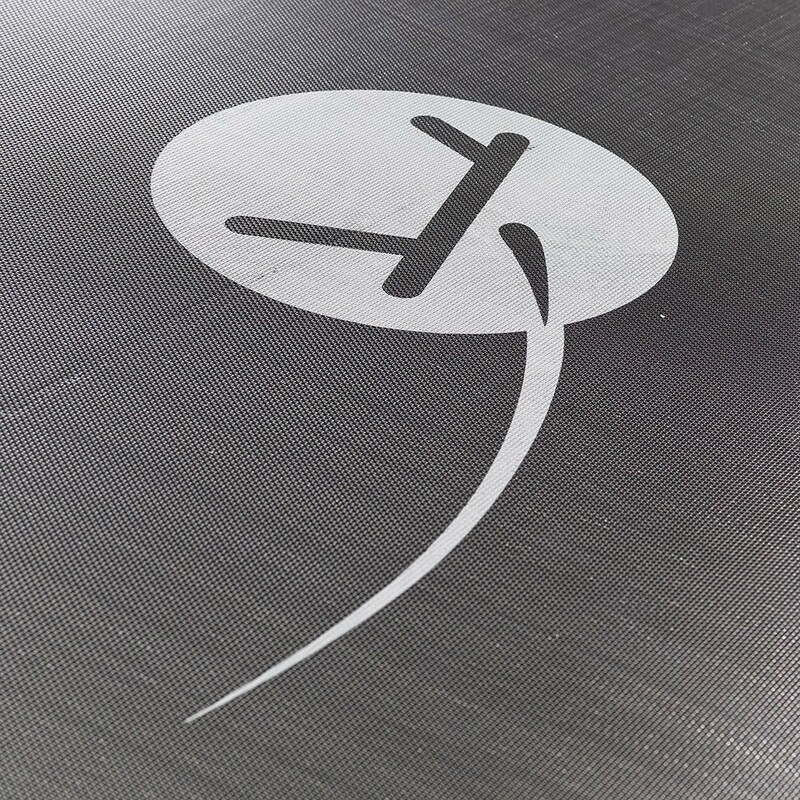 Thanks to its UV coating, this jumping mat is protected from the sun, improving its durability. - 8 rows of stitches hold the pad together, to which is added a strengthening strip. We use steel rings to hold the springs to the straps, they have been hot-dip galvanised to protect them from rusting. 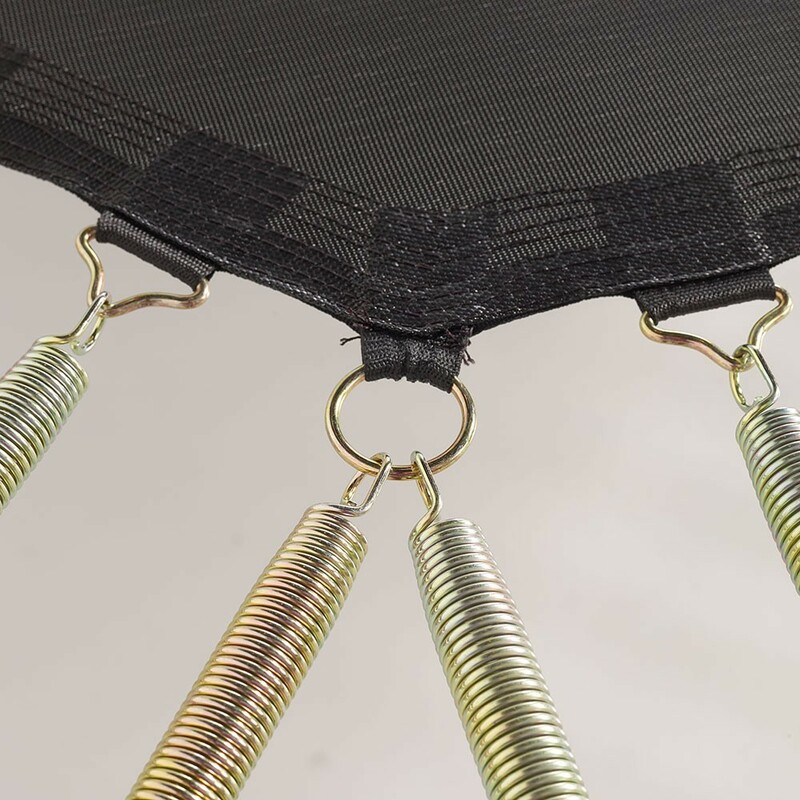 - Warning, this jumping mat is only adapted to trampolines with 104 springs of 230 mm in length. 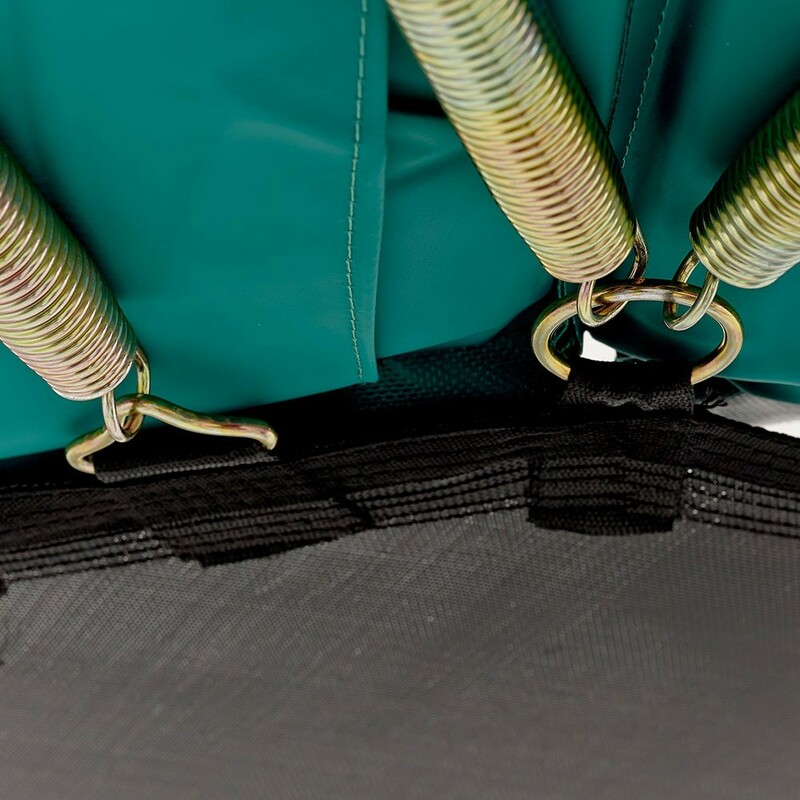 It is therefore important to know how long your springs are before buying your jumping mat. You can remove a spring by pressing down firmly in the centre, it will then lift up off of the framework and you will be able to remove it. 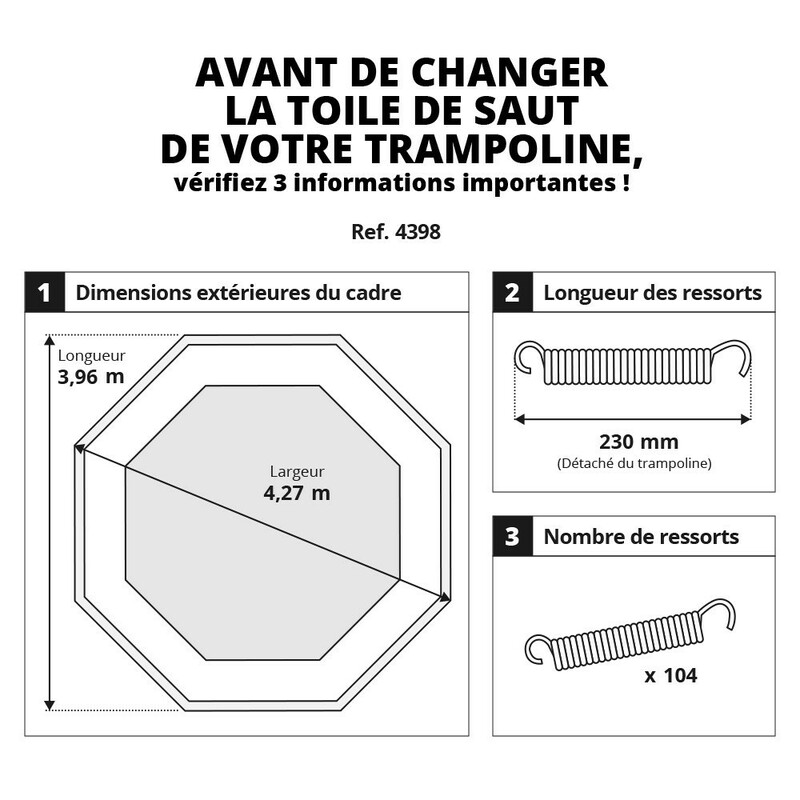 All you then need to do is measure the spring from hook to hook. Montage (et démontage en hiver) demande attention, minutie et un peu de temps mais est facile. Matériel solide et sur même pour grands jeunes sportifs !